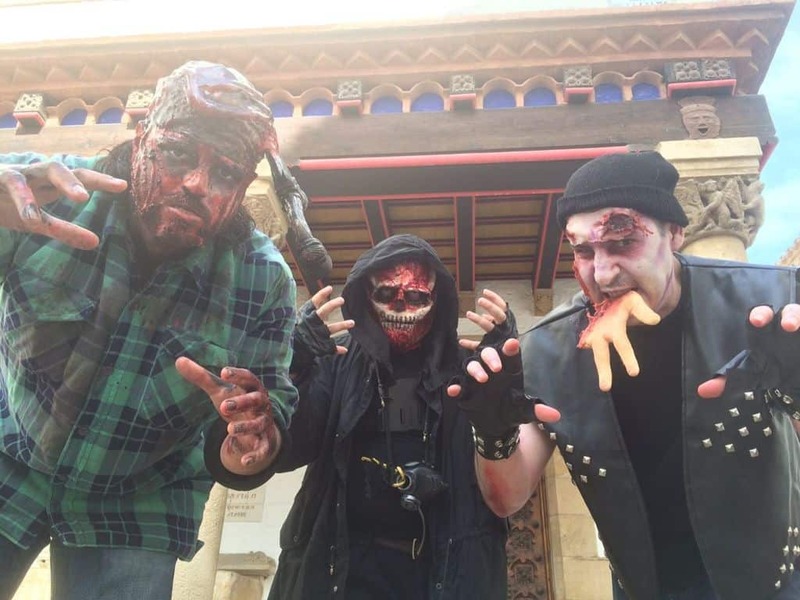 Devoured flesh, gouged eyes, torn-up faces, ripped-out jaws. 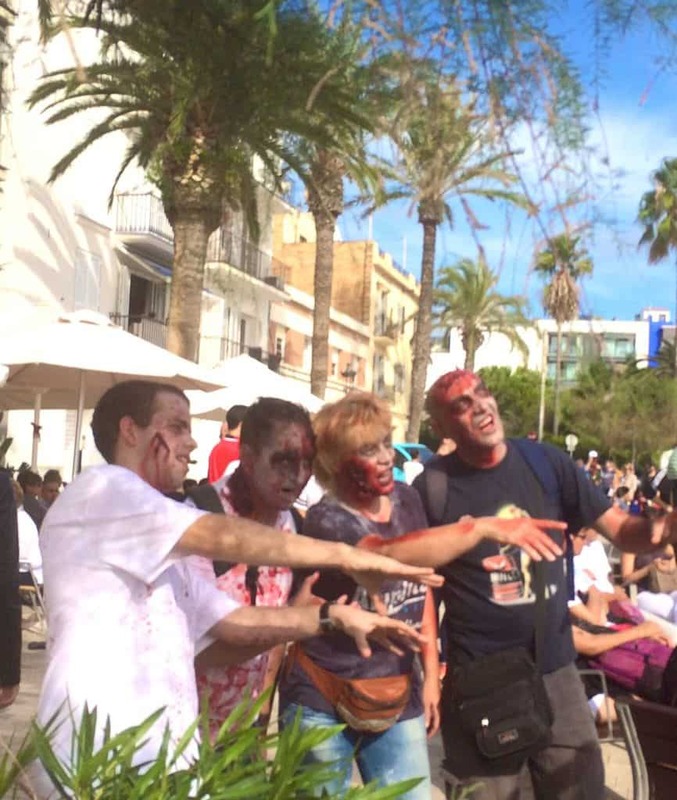 A bunch of undead people infested Sitges on Saturday — moaning around the city, stupidly and relentlessly. 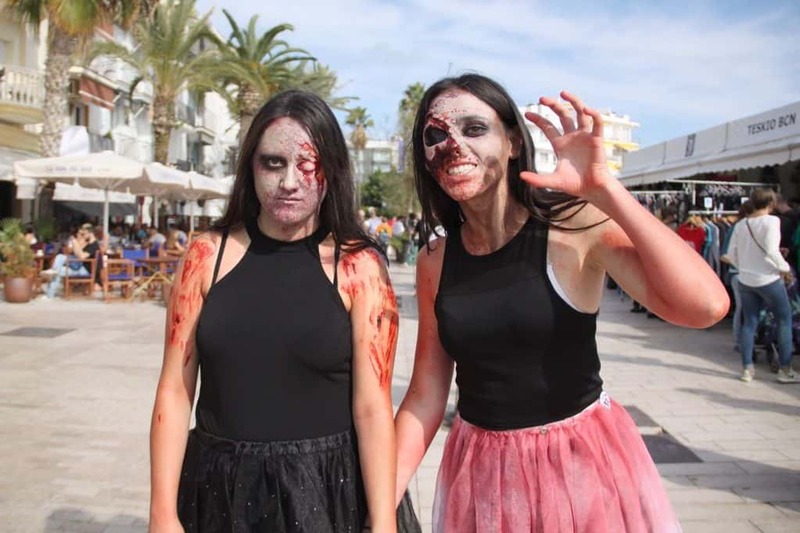 The renowned Sitges Film Festival celebrates fantasy and horror films, where that evening they would film the Sitges Zombie Walk. 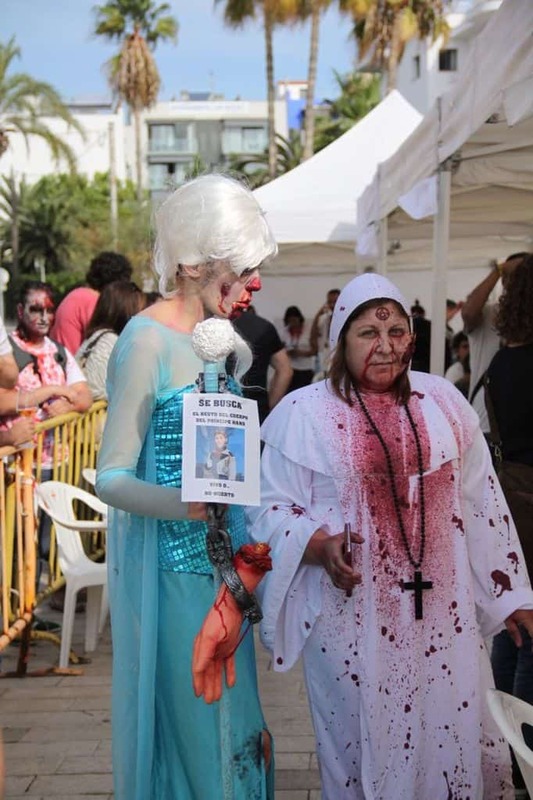 The zombies started swarming the city at daylight. Hordes of them gave normal people detestable looks and dark stares. I didn’t like the looks of some of them as they’re known to be voracious eaters. 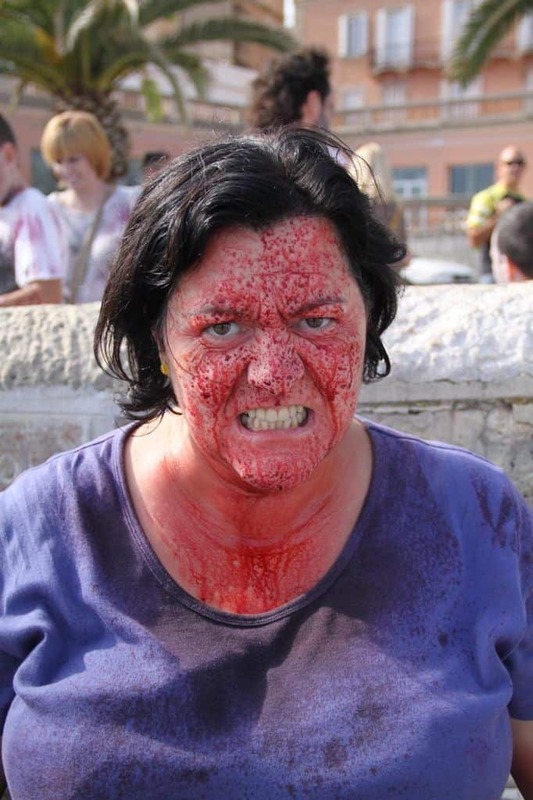 This zombie’s ready to devour her next meal of human flesh. 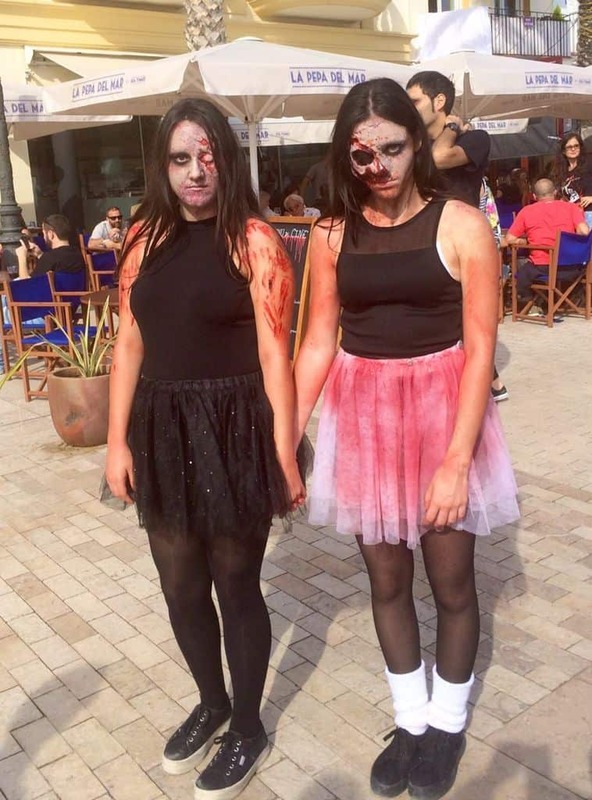 Twin Zombies, each with rotting gouged eyes gave a mean, lifeless stare with their other eye. 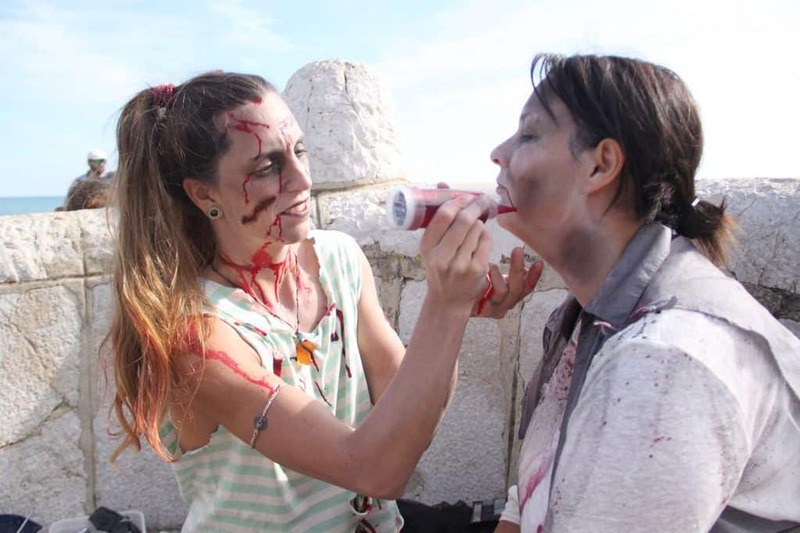 After walking around Sitges, I saw where the zombifying happened — in a tent of professional zombifyers. The line for the free zombifying must have been an hour or two wait. 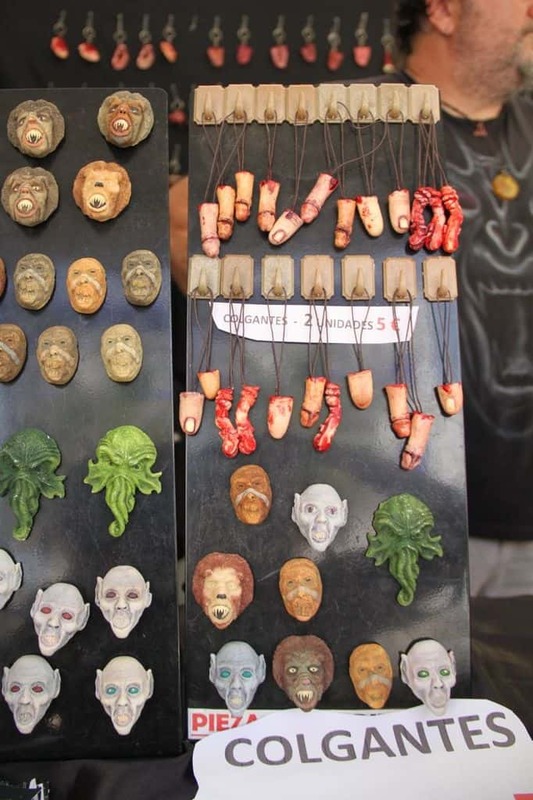 A girl set up her own zombifying shop for quicker zombification. 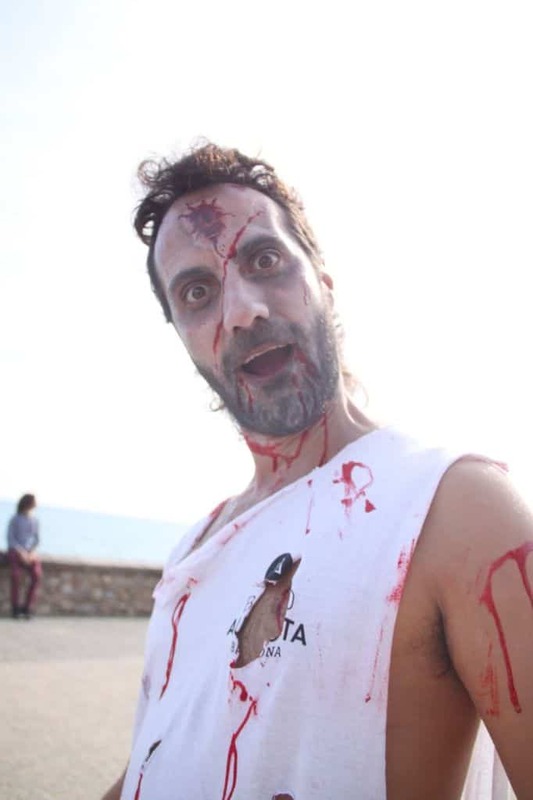 Acting stupid and devoid of life is typical zombie behavior. 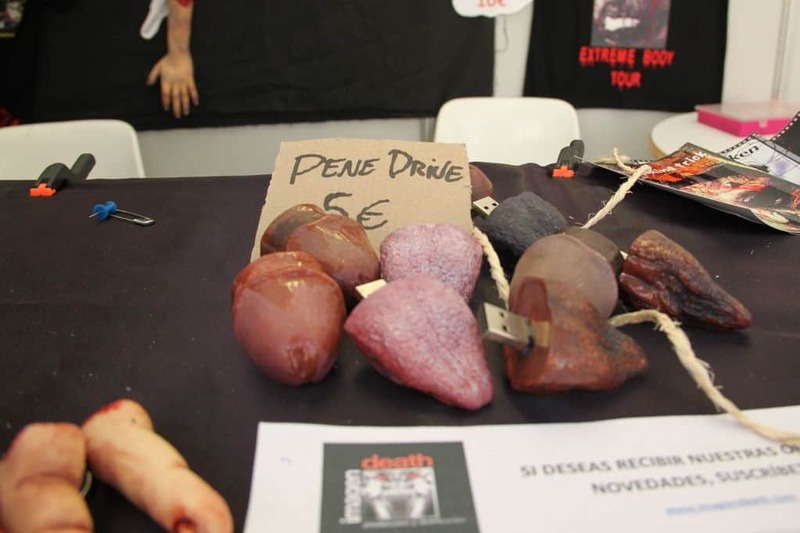 There was a small market of stalls along the Sitges boardwalk where horror fans can get their gory products. Perhaps they’re leftovers of zombie meals. 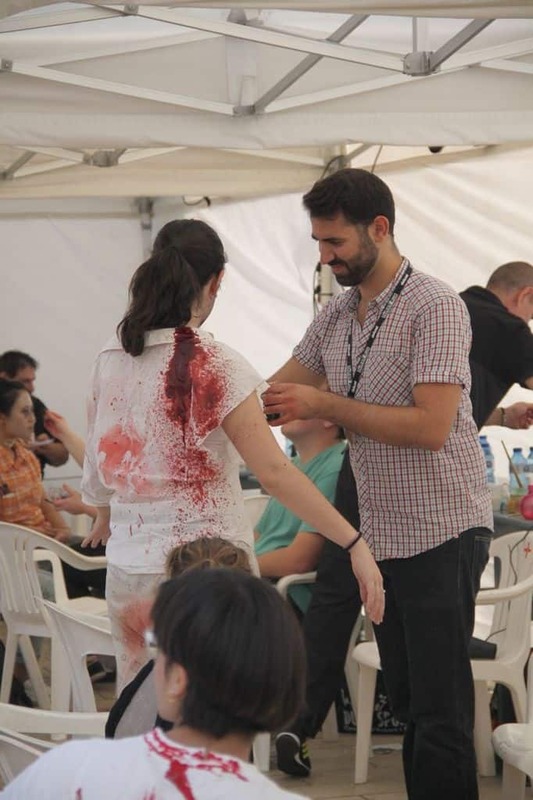 Remember — zombies don’t leave any body part untouched. 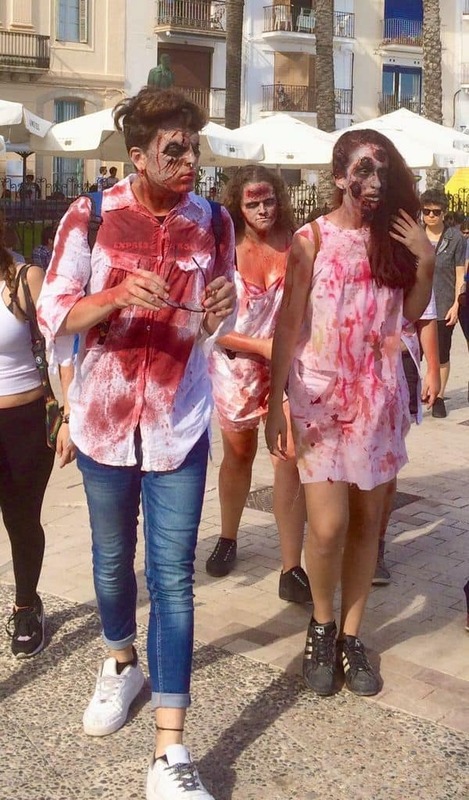 As daylight turned to dusk, I started to worry when the zombie hordes started multiplying, dragging their corpses around with relentless groaning. Those zombie twins again. I’m outta here!